Born in Bologna, Italy, Gabriella studied in Italy, France and Germany with Pierre Jamet and Fabrice Pierre, Jaqueline Borot, Giselle Herbert and Anna Loro. 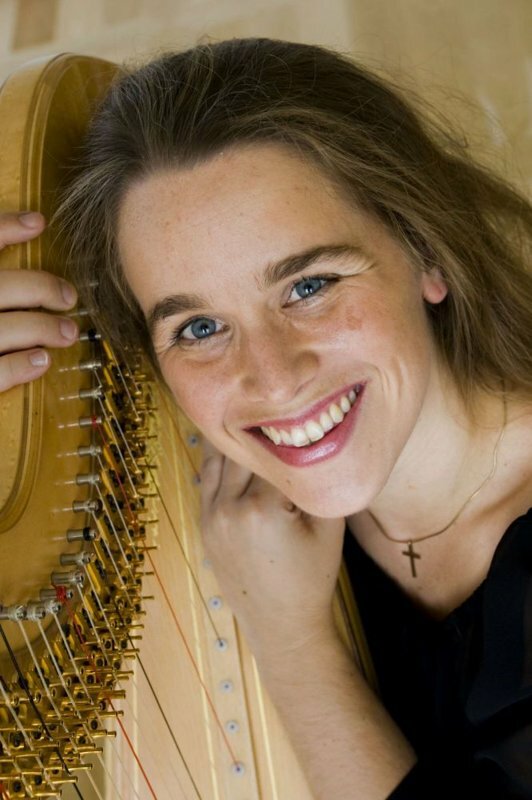 Now based in London, she continues to follow an international and high profile career performing and teaching the harp. She is a professor of harp in Trinity Laban Conservatory of Music. 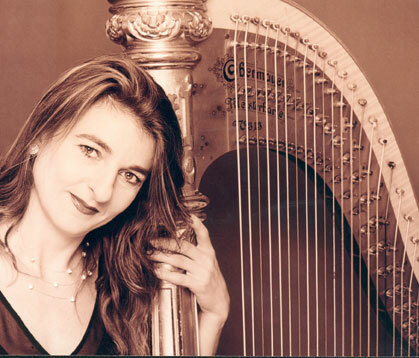 Mirjam Schröder is an outstanding harpist, specialized in both solo and chamber music and a distinguished harp professor. Prizewinner of prestigious competitions, including ARD Music Competition in 2004 and Arpista Ludovico Competition in Madrid in 2002, she has been performing on renowned European stages ever since she was 15 years old and made her debut playing Mozart’s Concerto for Flute and Harp. She has been a regular guest at many important festivals in numerous cities, including Lyon, Bayreuth, Prague, Amsterdam or Cracow. Duo with harp is her favorite form of chamber music hence ongoing cooperation with Maximilian Mangold (guitar), Sonja Schröder (cello) and Rie Watanabe (percussion). Teached students in Weimar and Detmold, currently harp professor at the University of Music and Performing Arts Vienna. He has been a member of jury of many international and nationwide competitions and gives regulary masterclasses in Poland and abroad. Besides his teaching activity, he gives many concerts. He is a leader of the cello in the NFM Leopoldinum Chamber Orchestra. He graduated from Thornton School of Music - University of Southern California (prof. Eleonore Schoenfeld's class) and Queen Reina Sofia Higher School of Music in Madrid (prof. Gunter Pichler's class). Since 1980 Stanisław Dziewior has been a trumpeter of the Polish National Radio Symphony Orchestra in Katowice. As a soloist he has performed with orchestras such as: NOSPR, Silesian Philharmonic, Sinfonietta Cracovia, AUKSO. He regulary gives masterclasses and workshops. He has been a member of jury of many international and nationwide competitions. He is a head of Wind Instruments and Percussion Department in Academy of Music in Katowice. Polish composer, arranger, instrumentalist, an University lecturer (adiunct in Chopin University of Music in Warsaw) graduated from the Frederic Chopin University of Music in Warsaw and Postgraduate Study of Film Music in Music Academy in Lodz (under Krzysztof Knittel, Krzesimir Debski, Maciej Zielinski, Wlodek Pawlik). 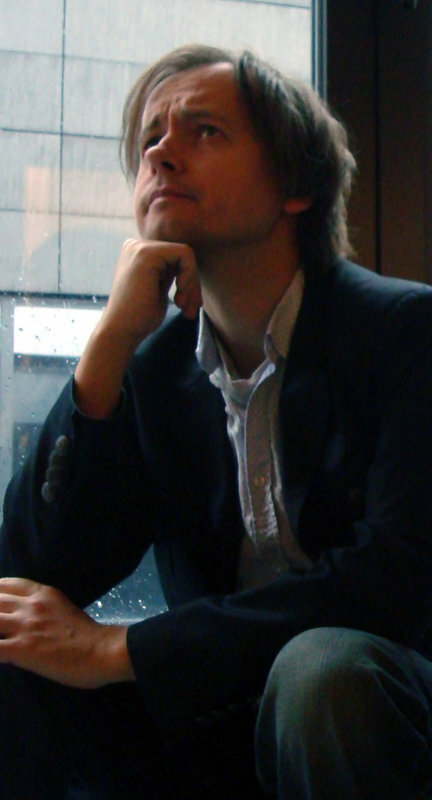 He has won many national and international composers competitions (for orchestra, choir, electronic music etc). His music was performed by many renowned conductors, orchestras, performers in Poland and abroad.